One lived in a haystack, one joined the Serbian army and another set up her own fire brigade. The world would be a much duller place without that most individual of human beings: the female eccentric. Harry Mottram reports. Flora Sandes was the only woman from Britain to join the Serbian army and fight the advancing Austrians in the First World War. Louisa (no known surname) lived in a haystack near Congresbury in the late 18th century and for a time was something of a celebrity with fashionable visitors riding out to visit her. And finally we have Emily Fazakerley from Banwell. 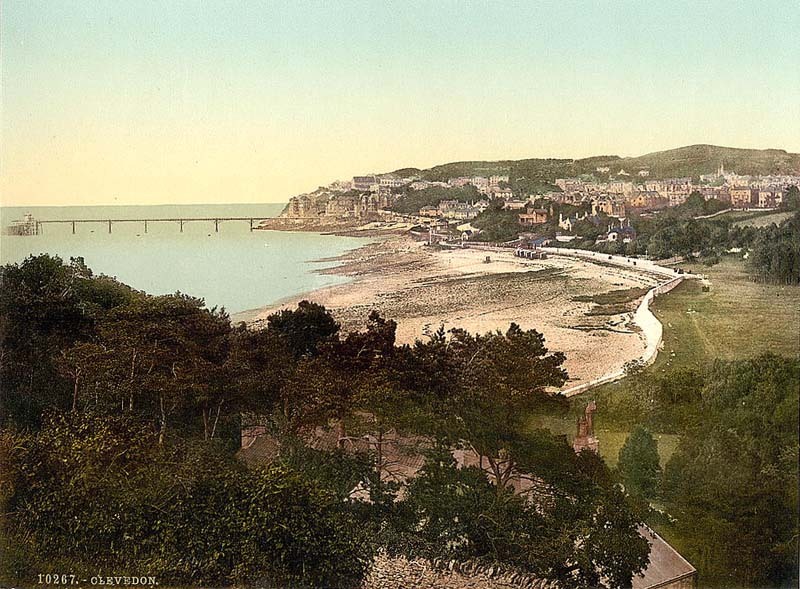 Born in Ynys Mon, Cymbru (Wales), in 1840 she was the daughter of Henry Fazakerley of Fazakerley House Lancashire, and lived in Plas Castell at Denbigh Castle and was educated in London. Emily moved to Banwell Abbey in 1883 for health reasons and was to leave a lasting impression when she arrived by train on the Strawberry Line at Banwell and Sandford Station. Looking slightly severe in her funereal black gown the Welsh aristocrat cut an exotic image of a cross between Mary Poppins and Queen Victoria. 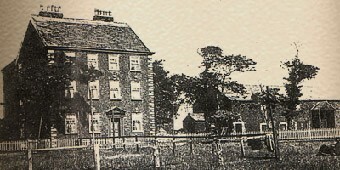 Described as a “wealthy, eccentric, lady bountiful” on Barry Mather’s website about the history of Banwell, the wealthy spinster of the parish was noted for her acts of generosity to the community. These included donating land and a cottage to set up a fire station in 1887, and buying a horse drawn fire engine and uniforms for the new fire brigade. 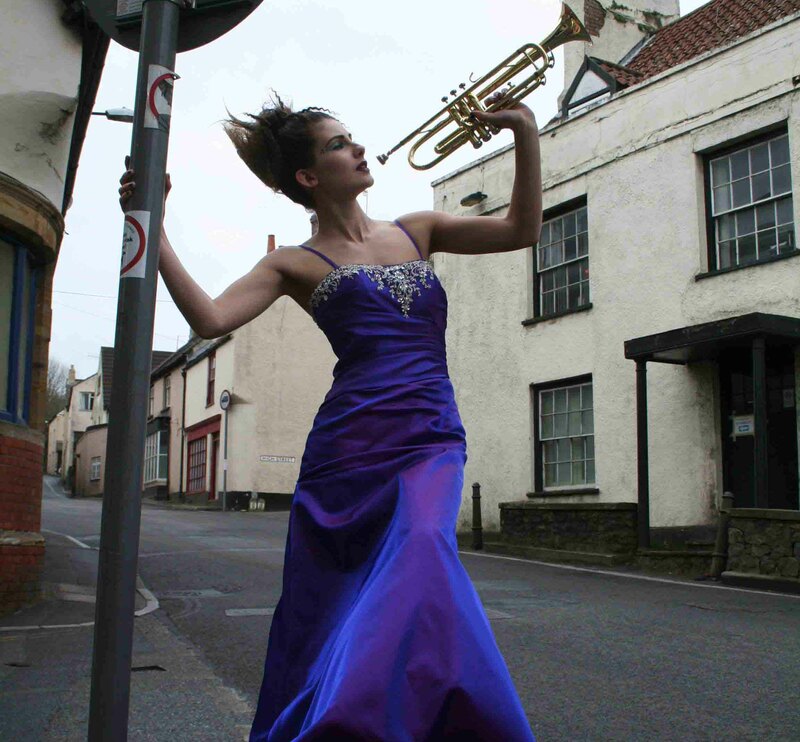 Clearly Emily had an eye for theatre as she established a brass band and had special uniforms for the musicians made by Mr Lewis the village tailor. Once she had moved into the Abbey in Banwell (now split into four homes) Emily took a keen interest in the social life of the village. 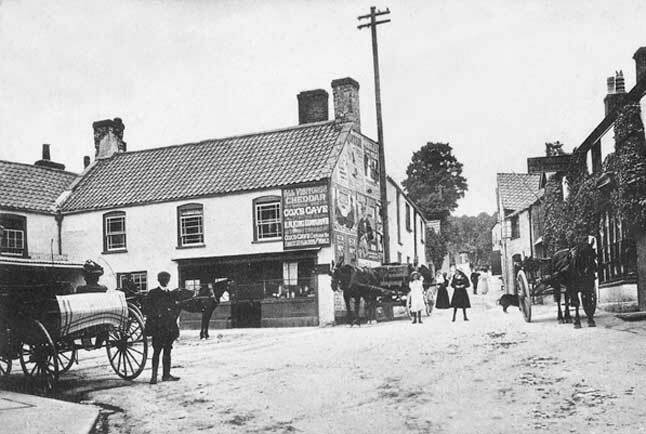 In the 19th century the village was like many in England – suffering from unemployment and in particular a lack of social services. Although the Education Act of 1870 had begun to provide elementary state education there was no formal provision for training and further education. Poverty was a problem and the utilities, health service and emergency services we take for granted barely existed. It was recorded that: “On a sudden whim, she would invite all the women in the village to tea and they, numbering as many as 50, would march through the village escorted by the band. 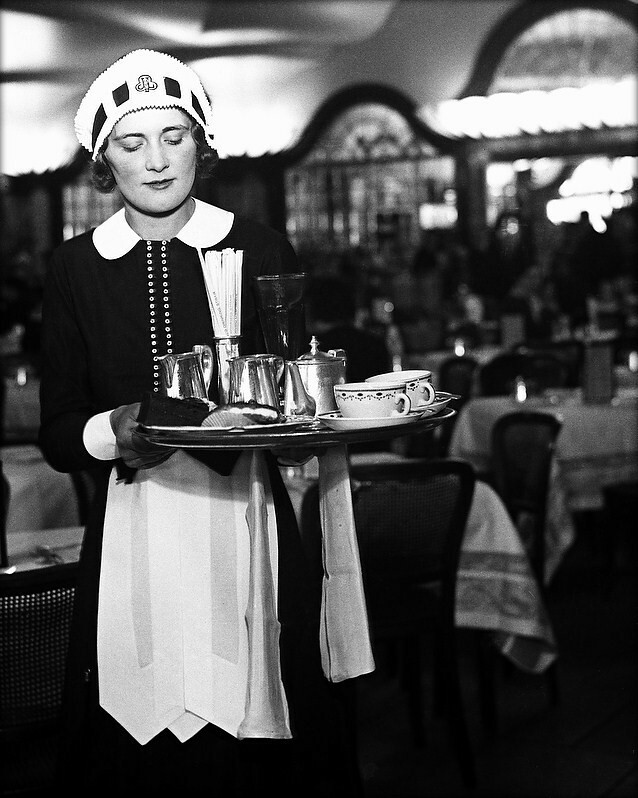 They were not only entertained to tea but sent home loaded with blankets, sheets, tea and every kind of household utensil – to the value of about £50 (a considerable sum in those days). When a tinker called at the Abbey she would sometimes purchase his entire stock – brushes, pans etc. to build up her stock of gifts to give to the village.” Many homes were still thatched and all houses used open fires – so the threat of fire was considerable to the tightly packed homes of the village. Cornelius the butler was also called upon to set light to bonfires in the grounds of the Abbey – so she could invite the firemen to demonstrate how effective they were. Whether these were official hoax calls is unclear – but then if you’ve paid for the fire brigade’s creation it is only fair you can call them out occasionally for your own amusement. Another passion of the extraordinary Miss Fazakerley was her legendary shopping trips to Bristol where she would sometimes hire a special steam train on the Strawberry Line. Setting off from Banwell and Sandford Railway Station accompanied by her staff and waited upon by Cornelius the butler she visited the chic shops of Bristol’s Corn Street, Victoria Street and Castle Street – no doubt stopping for lunch at the Tudor Dutch House on the corner of Wine Street and High Street. The friend of tinkers and the poor, founder of fire stations and village bands it seemed the eccentric Miss Fazakerley could do no wrong. That was until the incident of the church clock in 1884. It was one innovation too far. St Andrew’s parish church was in need of a new clock and so in her own individual way Miss Fazakerley had one brought from her family home in Denbigh Castle and paid for the workmen to have it installed on the church tower. Lit by gas which automatically switched on at night it appeared to be the perfect timepiece. 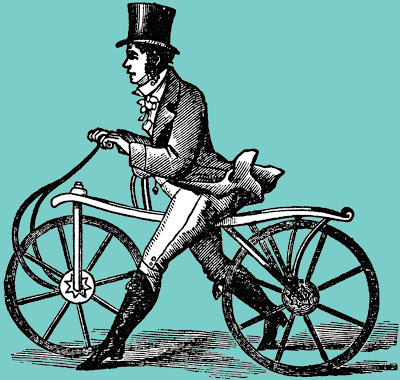 However this was the 19th century and folks weren’t so keen on all modernisations. It would be the equivalent of a vast digital clock being put there today along with neon lighting. It would do the job but somehow not in the right way. The villagers took against the new clock and made their feelings felt. It must have been a painful moment in the relationship between the parishioners and Emily – but she got the message and had the clock removed. A short time late the villagers replaced it with a clock of their own choosing – which is still there to this day. Oh well… you can’t win them all. 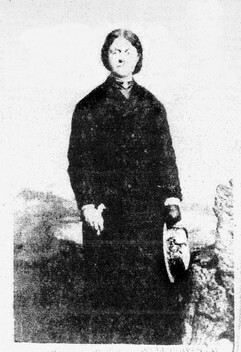 In 1888 Miss Fazakerley died at the age of 48. Her death stunned the village with the residents in genuine shock. Her frail and imp-like body was laid in an oak and lead coffin and placed in state in the Abbey chapel. Hundreds of mourners visited the coffin to pay their last respects – an act of homage that has largely disappeared in our own times. Her final journey was fittingly by horse and carriage to Banwell and Sandford station where her coffin was taken to London to be buried in the family plot. But it was a departure that combined her two defining characteristics: public theatre and community spirit. Accompanied by the Banwell Fire Brigade and of the village brass band hundreds of mourners made up of residents, family members and friends walked at funereal pace the mile or so to the station while in the distance could be heard the tolling of the church bell – rung in her honour. One obituary recorded: “To give a general estimate of her character is a pleasing and by no means a difficult task. The impression that has gone abroad concerning her, needs modification. Her eccentricities and naturally excitable temper left sometimes a wrong impression. Her very follies leaned to virtue’s side. Her failings were her virtue. She was generous even to a fault. Her concern for the poor during the recent very severe weather was sometimes painful to witness. She had an idea that they were dying of hunger and cold and that she must provide them with soup, bread, meat, coals and clothing. Her one aim was to do well, and had her life been spared she would have done still more good. As it is, she has left her mark upon Banwell so deeply engraved that while one of the present inhabitants still survive, her name will be held in grateful remembrance. Well may it be said ‘She was a lady, take her for all in all, we shall not look upon her like again’.” At the beginning of this article I called Emily a Great British eccentric – or words to that effect. But perhaps she was not an eccentric but rather an individual. Are not eccentrics simply people who do as they wish and are not bothered by the opinions of others and the conventions of society? Individuals who are happy as themselves. Why we need to pick on them is perhaps more to do with the fact that most of us are not particularly unusual. We blend in almost unnoticed in society – which is the way we like it. While Emily was certainly an individual – and although she was rich and could do as she chose – you don’t have to be wealthy to be called an eccentric as Louisa in the haystack proved – a lady who we may well revisit in a future issue. The North Somerset village of Churchill has connections with the super rich and powerful of England’s ruling elite of the late 17th century. Harry Mottram investigates a female duo who dominated affairs at the heart of Government. When friends fall out, they can really fall out. In fact some friends will never speak to each other again. Money, love, gossip, trust and jealousy can all be the trigger – but there’s also that moment when the balance of the relationship changes. One friend moves on – perhaps for a new school or a job and the friendship fizzles out. But I’m sure most people have had a parting of the ways with a friend for a more personal reason. So it was with Sarah Churchill (nee Jennings) when she fell out with her lifelong friend Anne. 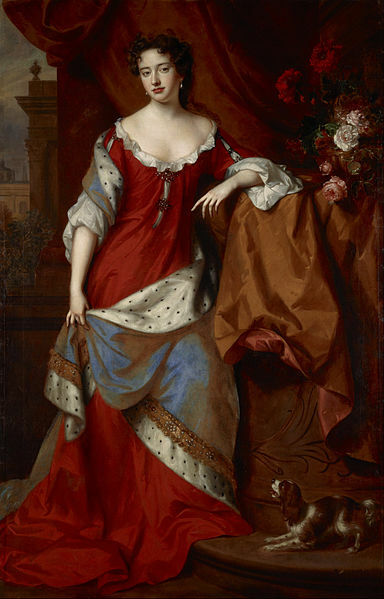 Sarah Jennings (pictured above) had been pals with Princess Anne pictured below – later to be Queen Anne (1645-1714) – and had championed the cause of the future monarch when she was heir apparent. When Anne became head of state it left Sarah in a powerful position as adviser, confidant and bosom friend. Born in 1660 near St Albans in Hertfordshire there is little connection between her and the Strawberry Line village of Churchill that lies next to Langford – once on a branch line from Congresbury. That is except through the family she married into and her dad’s ownership of Churchill Court – which is now a bed and breakfast establishment. John Churchill – later the 1st Duke of Marlborough – held the illustrious name – and was born near Axminster in East Devon. Churchill means literally ‘the church on the hill’ or ‘the place by the church on the hill’ – and if you look it up in an atlas you’ll see it’s not an uncommon name for a village. It dates back to pre-Anglo-Saxon early English and in some versions of the name is Celtic in origin and means ‘the spring on the hill’. Drive through the village of Churchill on the A38 and you can’t miss the Churchill Inn with its image of Sir Winston Churchill on the pub sign. Churchill may be linked in younger generations to TV insurance commercials but over the centuries the name has never been far from positions of power and influence – and so it was true of Sarah Jennings when she got hitched in secret to John Churchill. The Jennings family were very rich and mixed socially with members of the Royal Court which is when Sarah met John. She also met Princess Anne at the same time as her job of maid of honour to the Duchess of York. The two became firm friends partly due to their Protestant faith in a Catholic court but also due to being two teenagers from similar backgrounds growing up together. John Churchill was ten years older than Sarah and at first tried to get her to become his mistress – but she was having none of it. With her golden blonde hair, striking good looks and vibrant personality he quickly fell for her and proposed. Both families were against the couple getting married and so they wed in secret in 1677. John’s family however overcame some of their misgivings about Sarah when her brother died and she and her sister Frances became heirs to the Jennings estate. Despite their wealth, and pivotable position at court the couple had to tread a careful path in a country divided by religion and the politics of whig and tory. Back at court the couple were out of step with King Charles II who encouraged a catholic court which continued when his son James II became our last catholic head of state. However John’s star rose during the short reign of the king when he defeated the Duke of Monmouth at Westonzoyland in 1685. The King promoted Churchill for his loyalty but must have felt betrayed when John switched sides to favour another challenger to James. This time it was the protestant William of Orange who headed a rebellion – taking control of the country in military coup in 1688 when he invaded with a Dutch army. James II had cheesed off much of the protestant establishment with his a desire to return Britain to the Roman Faith. He was losing friends and finally parliament when he was toppled by the so-called Glorious Revolution. All seemed fair for Sarah and John but despite further successes as a military commander under the new administration John and Sarah weren’t out of the woods yet. A fictional popish plot was linked to John Churchill and he was imprisoned in the Tower of London. Sarah’s friendship with Princess Anne was strongly disapproved of by William’s wife Queen Mary – who had her evicted from her London flat and tried to get her sacked from her job in Anne’s court. Fortunately things changed when first Mary and then William popped their clogs. With Anne on the throne finally John and Sarah Churchill – now the Duke and Duchess of Marlborough were secure. John’s military career continued with his role in the Seven Years War – victor of the battles of Blenheim and Ramillies – and architect of the defeat of France in the conflict. Sarah was able to advance her husband’s interest and that of her family with the complete confidence of the Queen – making her and John two of the most powerful people in Europe outside the heads of state. They had a family of seven children, enjoyed fabulous wealth through salaries and pensions from the state – and an unprecedented popularity amongst the ruling classes and many ordinary folk as well. But. And you knew there was a but coming up. Sarah’s celebrated strong will was to get her into trouble – first with her own daughters with whom she was to fall out with – and later with her bosom pal the Queen. The reason was simple. Despite her gift at making friends and influencing people in her role of leader of a Hanoverian band of bosom buddies – Sarah Churchill and the Churchillettes – she was bossy. Queen Anne had enough of her when she insisted she wear different jewellery to one state function. Telling her who to appoint as an adviser was one thing but to tell the Queen what to wear was another – and Sarah got sacked as Anne’s best mate. Sarah’s fall from grace wasn’t as bad as it could have been. In another era she could have faced the Tower or the scaffold. She was still very rich and powerful and set about building Blenheim Palace. An astute business woman, manipulative and charming, short tempered and witty, Sarah was clearly a highly intelligent woman. Her failing was she as she often told people was she knew best. Years passed, Queen Anne died and her husband John Churchill died – but there was life in Sarah yet. 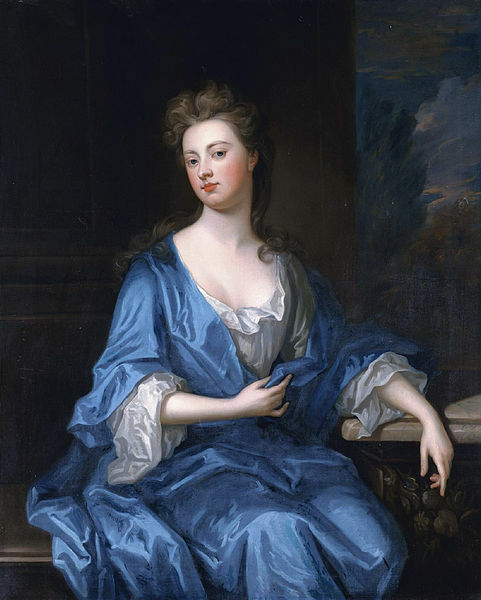 She managed to fall out with a few more people including her daughter, the architect of Blenheim Palace, prime minister Robert Walpole and the new King George II and his wife. But she turned down various offers of marriage and so kept the name Sarah Churchill when she died at the age of 84. Sarah ensured her children married into the most influential families in the country – the most famous descendants being Lady Diana Spencer and Sir Winston Churchill. What was it like to visit the Strawberry Line in 1899? Using an 1899 guidebook Rupert Bridgwater took a trip from Clevedon to Wells in a tweed Norfolk suit in search of Victorian Somerset. Cyclists should dismount when descending Cheddar Gorge and Clevedon is not condusive to bathing but does have smart shops. These and other useful tops help to make up an 1899 copy of Black’s Guide Book sold for one shilling in Winscombe’s stationer of the same era. Edited by A R Hope Moncrieff the author notes in his preface that as may be expected in a pocket guide to the British Isles that “everything has not been said that might be said; but so far as our limits allow, we have tried to point out to strangers what is best worth seeing in this most attractive corner of England.” And so with guide in hand having first put on a very stiff and itchy Norfolk suit I set off in search of Victorian Somerset travelling from Clevedon to Wells – by bicycle. Traffic excepted and also the considerably greater number of houses built in the last 113 years there are surprisingly many things that haven’t changed a jot. Yatton: “A thriving-like village, just outside of which on the east side stands a solid tower, capped by the uncommon feature of a truncate spire, marking the church, which contains a fine altar tomb and other monuments of the Newton Family.” Sadly there’s no record of the shops, blacksmith or pubs in the guide although it suggests a walk to Weston – now nicknamed Weston-super-Mare – because it’s a pretty town and quite lively. Presumably due to the vast numbers of Welsh miners who descended on the resort by paddle steamer and the day trippers from Bristol’s growing suburbs in search of fun and frolics on their high days and holidays. Cheddar: “The station is about a mile from the entrance of the gorge, for which conveyances (4d) are usually in waiting. The Cliff Hotel, near the foot of the gorge is the goal of driving excursions.” The guide is clearly taken with Cheddar as it affords more space than anywhere else in the pocket book – even than Wells. It describes the fierce rivalry between the owners of both main caves, Gough’s and Cox’s – both charging 2/- entrance fee and both lit up to display their “stalactite wonders” for the “patronage of pilgrims.” We also get considerable description of the gorge and the surrounding country which clearly was the big draw for visitors seeking something of a lost wilderness that once covered England from end to end. He cautions cyclists to dismount once they arrive at the end of the wooded part of the top end of the gorge due to “not knowing what may be around each corner.” Something that some motorists should pay heed to today. Wells: “A city of under 5,000 inhabitants, wears a look of quiet diginity.” He describes the Town hall and Council Chambers with its exhibition of portraits, the two stations within easy reach of the cathedral and reiterates the truism that nowhere is a city with so many buildings still being used for their original purpose. I was crossing the road to the New Inn at Cross to deliver magazines when a white sporty looking new car pulled up. Inside were two prosperous looking well fed Italian men (they introduced themselves as Italians). They asked for directions to Gatwick saying they were lost – I showed them the route on their map and in thanks they immediately handed me what appeared to be a Rolex watch. They insisted I have it as a thank you – but I tried to hand it back. They then thrust a second watch into my hands saying it was for my wife. Again I tried to give the watch back – and then they said as they had given me a watch could I lend them cash for petrol as their card wouldn’t work at a cash machine. I smelt a rat and threw the watches back through the window of their white sports car. The car sped off at high speed leaving me somewhat bemused. According to the police these chaps have been operating in the area – although whether they managed to con anyone is a mystery. 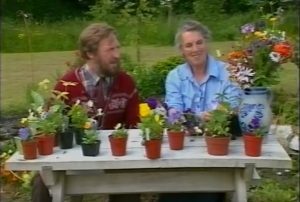 Brenda said that normally the gift bearer demands more than a token for gas (after all, he gave you such nice things) and once the duped tourists walk away with their jacket and handbag, a motorcyclist quickly rides up and grabs the stuff so it can be reused on the next victim. On the Fodors website Europe Forums Tom had this story again in Rome: “I have been approached by three scam artists in the last 24 hours. The first was yesterday as I was headed to Castl st Angelo. It was the ‘found ring’ scam. I must admit, the lady was pretty smooth. But as soon as I saw her bend over and come up with a gold ring, I just kept walking. The other two happened today about 30 minutes apart. The first one was the ‘Versace Salesman Gift’ I was near Ponte Palantino, when he pulls over and asked for directions to the French Embassy near the Vatican. After I showed him how to get there he offered me a ‘gift’ which at this point I kept walking. “The third one happened less than 30 minutes later as I was walking be Circus Maximus. It was the ‘Phoney Cop – Let’s See Your Money’. It was instigated by a man acting as a tourist stopping me and asking for directions. As I was showing him on the map, I noticed out of the corner of my eye a slight wave of his hand. Within 30 seconds, another man showed up in ‘uniform’ with a badge and an ID that saying “police”. He then goes into this spiel about fake money and asks us both to see our passports and wallets to see if we had fake money. It has led to family arguments, marital bust-ups and even war. 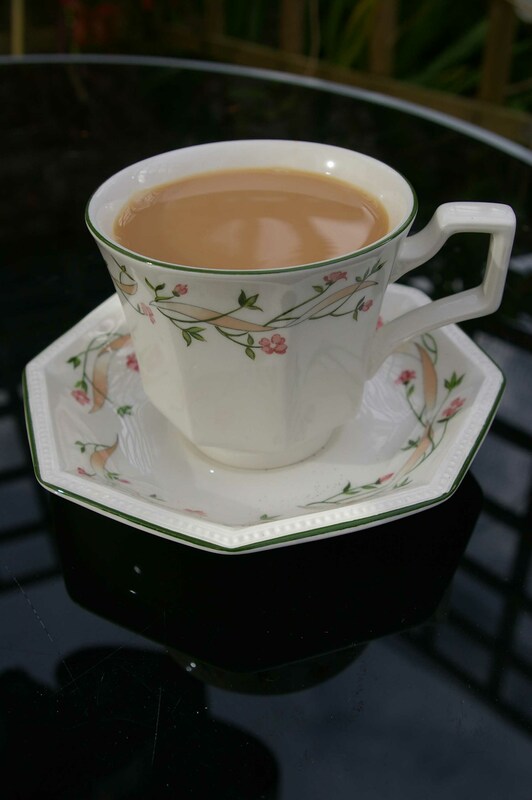 How to make a perfect cuppa has exercised the minds of the great, the good and countless maiden aunts since the leaf-based beverage was first sipped in England in the 17th century. 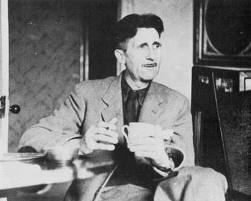 George Orwell identified the reason in his essay on the subject in 1942. The author of 1984 said there were 11 rules – but only two were universally agreed and a further four were highly controversial. Having read his article I suggest none of his 11 points are widely accepted – and some could lead to legal action in the kitchen such are the passions raised. And that’s the point – nobody appears to agree on any of the main steps in making a perfect cup of cha, char, te, tai, herbata or tea. Ask anyone you know and they all have their own idiosyncracies and often family traditions. I’ve known people to throw away a cup of tea in front of the person who has made it and then declare they’ll make it themselves. It’s one of the most insulting things you can do – and yet who can honestly say they’ve never tipped away a cuppa made by someone and quietly made it again – their way. So, having established the tea you want, you must decide on the temperature of the hot water. Boiling or 80C? Call me old fashioned but boiling soft water is best – and the tea pot should be warmed first – very important. Pour in the boiling water straight into the pot and allow it to stand for two minutes and fifty five seconds. 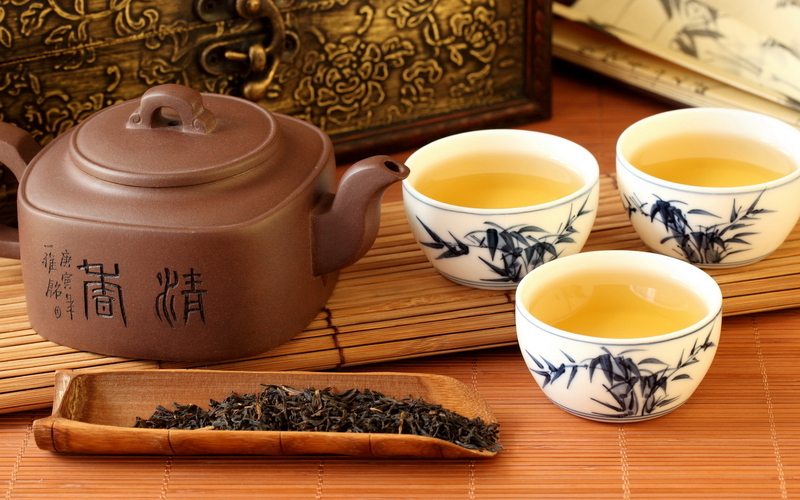 The University of Northumbria spent considerable time on researching the amount of time you should allow tea to brew. They reckoned on 17 minutes and 30 seconds. However after more research the boffins concluded that the best method was to add boiling water to a tea bag in a mug and leave for two minutes. You should they said then remove the bag and add the milk and leave for six minutes until it reaches optimal temperature of 60C. Leave too long and it drops below 45C and the flavours destroying the “all round sensory experience” – said the white coated ones. Apparently the average time we allow it to brew is 40 seconds. A scandal – that allows for no real taste to emerge from the leaves. Two minutes and 12 seconds is my recommended time for brewing for a tea bag but for leaves, two minutes and 37 seconds is best. If you use leaves then one rounded teaspoon per person and a half for the pot for every other person. It guarantees a second cup – as is testified by Lewis Carroll in Alice in Wonderland: “Take some more tea,” the March Hare said to Alice, very earnestly. “I’ve had nothing yet,” Alice replied in an offended tone, “so I can’t take more.” “You mean you can’t take less,” said the Hatter: “it’s very easy to take more than nothing.” If there’s not a drought then always boil fresh water (even George Orwell agrees with that one) Dr Andrew Stapley of Loughborough University said: “Use freshly drawn water that has not previously been boiled. Previously boiled water will have lost some of its dissolved oxygen which is important to bring out the tea flavour.” So there. Hungary is in the news this week as the River Danube continues to flood forcing thousands of people to move from their homes to seek higher ground. The BBC reported that in Budapest the nation’s capital some 55,000 are at risk from the floods. Hungarians make up a small amount of workers who have moved to England since their nation joined the EU a decade ago – around 50,000 is the figure estimated by Government sources – with many living and working in the Strawberry Line District. They have come in peace to work – and to return home from time to time. It was not the case in 1956 for one resident of this area. But over half a century ago this autumn, the streets of Budapest in Hungary, rang to the sound of machine guns. Hundreds died in heavy fighting. Feelings were running high amongst the local population as entry by the police was refused. In Hungary in 1956 the secret police and the army ruled the communist state with an iron fist. Swept up in the crowds Jozef headed for the army camp nearby where guns and ammunition were stored. The commander of the camp refused them entry and after listening to a deputation ordered the crowds to disperse. Moments later shots rang out and the villagers scattered. Despite several casualties the demonstrators held their nerve. Later the camp delivered up its guns and the Hungarian Revolution took hold in Jozef’s village. Jozef Vizi was born in Hungary in 1930, the oldest of four brothers. His parents had a small farm but had suffered under the new collectivisation policies of the Communist regime installed in 1945. He had been in the Hungarian army and was a crackshot with a rifle. Due to his training and confidence with a gun Jozef was an enthusiastic member of the revolutionary forces that rapidly formed to overthrow the Government of Erno Gerö in October 1956. After the events of that October afternoon, he volunteered to go to Budapest with some friends in a lorry to deliver food to the fighters battling with the secret police and soviet troops in the city. He also took one of the newly liberated rifles and plenty of ammunition. There then began a strange life for a few days for Jozef. He would commute into the capital by day with his comrades, spend the day fighting, and then return home at night. “It was only five days. We sorted out the Russians with Molotov cocktails and machine guns. I shot at those firing at us and as far as I could know they didn’t fire back. I didn’t see anyone die but I’m a crackshot and I was a sergeant in the army,” he said. “We were fighting for freedom. Under the communists you couldn’t say much. If you spoke out you didn’t know if a lorry would come in the night and take you away.” Jozef had already had a run-in with the authorities. He had refused to join the Communist Party and was punished by being dismissed from his job. Fortunately he had secured a new post at the steel works in 1956. By the end of the month the forces of repression were on the run and the revolution had succeeded. New Prime Minister Imre Nagy reversed the previous pro-Soviet policies of Erno Gerö and the nation rejoiced in their new found freedom. It was a brief period of liberty. On November 4, Jozef heard a desperate radio broadcast from Budapest pleading for support. More than 1,000 Russian tanks had invaded the country and aeroplanes were bombing the capital. He immediately went back with his comrades to resist the onslaught but it was no use. Outgunned the revolutionaries were forced to flee. Back in his home town Jozef considered making a last stand by building gun emplacements at the entrance to the community. However, the forces that overthrew Imre Nagy’s new government were vast. Tens of thousands of occupying troops swamped the surrounding countryside. Then an old friend of Jozef’s tapped him on the shoulder: he bizarrely was a secret policeman. The former footballing buddy told him that he would be arrested the next day and shot as a traitor along with his brother. Jozef had three choices: to fight on, be shot or run. Jozef told his parents and his brothers he and his brothers had to go. His parents didn’t want him to go. But they agreed he should take the two older brothers leaving the youngest behind. The three brothers were able to travel to England, and Jozef took a job with the RAF as a cook and settled in Buckinghamshire, before finding employment in the building industry. Back in Hungary his father suffered at the hands of the secret police and suffered many beatings in retaliation for Jozef’s revolutionary actions. A few years later Jozef met Joan, a teacher from Bristol and got married. In the 1970s the couple were able to visit Jozef’s parents in Hungary and retired to Axbridge in 1988. September: The Communist Government led by Erno Gerö, came under mounting opposition by workers to reinstate the former leader Imre Nagy who had introduced liberal reforms. October 24: First Secretary Erno Gerö made a radio broadcast denouncing those who wanted to break away from the influence of the Soviet Union. In the evening a demonstration at the radio station in Budapest led to violence as workers stormed the building demanding freedom from the communist regime. The government re-instated Imre Nagy as prime minister. October 25: Confusion reigned as Soviet tanks stayed on the streets. Hungarian security forces opened fire in Parliament Square killing hundreds of demonstrators and the revolution began. The communist party sacked Erno Gerö. October 26: Fighting between hardline elements in the police, security and army and anti-soviet revolutionaries who back the new government of Imre Nagy. 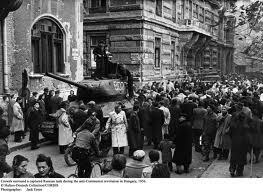 October 30: Soviet tanks begin to withdraw from Hungary. November 4: Soviet forces re-enter Hungary and swiftly overthrow the government and replace it with a hardline soviet puppet regime. Imre Nagy is captured and eventually executed. 200,000 Hungarians flee their country in the turmoil that follows. 1989: Communist rule ends in Hungary and is replaced by a multi-party democracy. 2004: Hungary joins the European community. 2006: A newly elected government is attacked by demonstrators at Budapest’s television station over a secret tape in which the prime minister says he lied to win the election. This time there is no revolution. 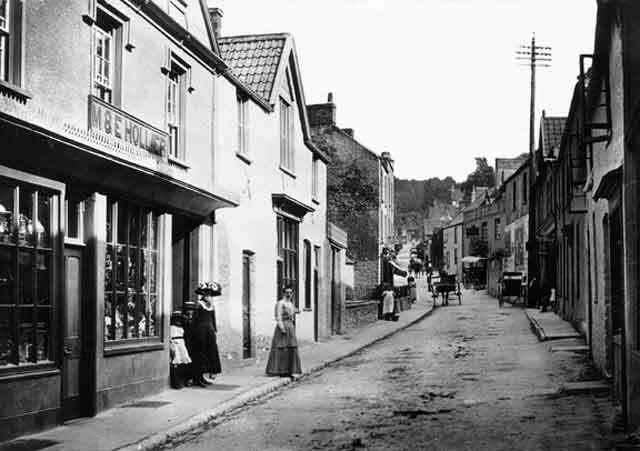 Amanda Cornwall walks around Cheddar Reservoir and finds history in the streets of Axbridge. One of my aunt Jasmine’s reoccurring demands for a gentle afternoon walk is it must be flat. Flat! I point to the Mendip Hills, Crook Peak and Cheddar Gorge and she refuses point blank to come out. So one walk I’ve found very popular with my difficult relative is one where there’s only the odd slope and it’s nearly all paved. And you can get a nice cup of tea at the end. 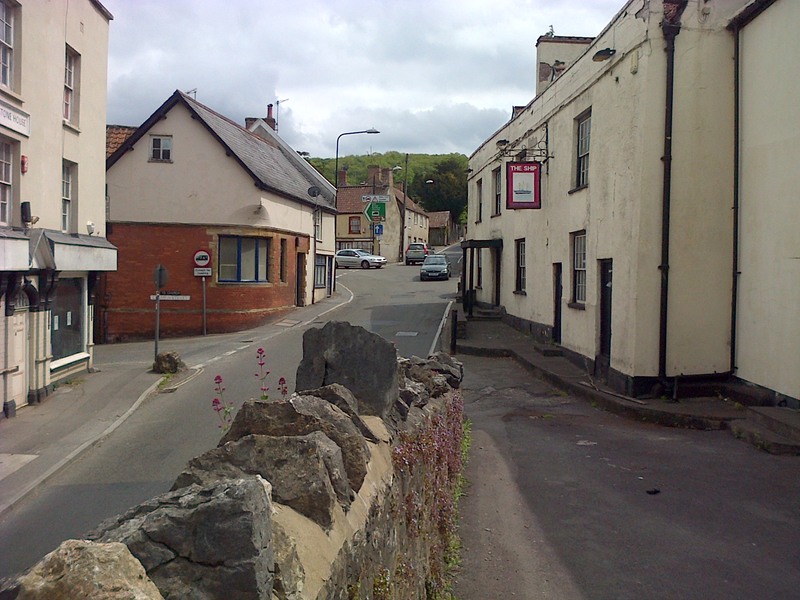 The town of Axbridge straddles the Strawberry Line – lying between Cheddar and Winscombe in the shadow of the hills and on the edge of the Levels. It’s an east to west layout with an elongated High Street and West Street due to its position squashed between the steep hills to the north and marshes immediately to the south. The focal point is the Square – an area that hosts pageants and plays, markets and concerts – and the few remaining shops. Close to the town centre is Cheddar Reservoir which provides a cirucular extension to the town walk – again – all on the level. So to start park your car in the free car park in Meadow Street just a few yards from the Square off Old Church Road. If you’ve come by bus then alight in the Square itself as it’s from here that we begin. The Square is one of the finest in England having been used as a market place probably from the 9th century AD when a Saxon fort or burgh was in existance. Whether the fort formed the shape of the square or lay to the south is not known, but by 1086 the town had numerous wealthy traders and by the time of King John in the early 13th century it was granted a Royal charter for a market. The timber framed museum known as King John’s Hunting Lodge is open for a small fee most afternoons in the season. It has no connection to the King John of the time as wasn’t constructed until nearly 200 years later and probably refers to an alehouse on the premises – now long forgotten. 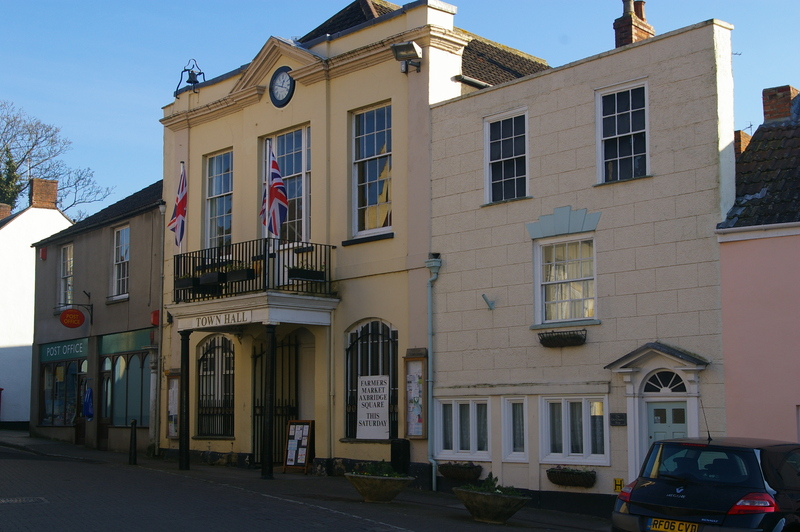 Other buildings in the Square include The Lamb Inn, the town hall, The Oakhouse Hotel, The Old Angel and the Guildhall. The Lamb Inn serves teas, coffees, meals and all the usual alcoholic drinks including Thatcher’s Cider from Sandford and Butcombe ales from Wrington – again only a short distance away. Sitting outside on a sunny afternoon with a pint of something nice and watching the world go by is one of the most popular past times for visitors and locals alike. The pub’s frontage dates to only 1830 when it was a coaching inn – but part of the interior housed the Guild Hall which was the town’s seat of governance until it moved to the balconied and pillared frontage of the town hall built at the same time. The Oakhouse Hotel also offers food and refreshments with tables and chairs in the Square, while tucked away at the top of Moorland Street is the Almshouse Tea Rooms. The almshouse was the original medieval hospital come retirement home for the poor and needy which was used from 1475 to 1837 when the Axbridge Union Workhouse opened. That building can be glimpsed from Houlgate Way but is now private flats and not open to interested observers of Victorian institutions. Other buildings in the Square include a strange house with a fake top floor. Look to the south to the building to the right of the town hall. There’s a house with a false frontage – with black windows with no glass in and nothing behind them! Clearly the Georgian owners were keen to impress but were short of cash. In the corner of the Square are stone steps leading up St John The Baptist parish church. Wheel chair users can use a side street leading off St Mary’s Street a few yards away but you’ll still have to mount the final few steps to the door. It’s worth it as the interior of the church is worth a visit in its own right. With its 100 foot high tower the 13th century church dominates the Square. It features a beautiful 17th century ceiling, and a sculpture of Henry VII in a niche by the west door. From the Square head up the slight meandering slope of the High Street past the Manor House – probably older at its base than King John’s Hunting Lodge – past the Roxy Cinema – formerly a pub – and on all the way up West Street to Compton House at the top by the roundabout. This fine pre-Civil War manor house was the home of the Prowse family who have a particularly beautiful statue of the lady of the house in the church. It’s now a guest house and hosts weddings and receptions – so unless you’re a wedding crasher you won’t be able to get a drink. Over the road is the urban motorway monstrosity of highway planners built in the late 1960s – a roundabout and accident black spot – a fly over and a huge slip road that would look more at home on the M5. The bypass follows the route of the cycle route above much of the town slicing past the romer railway station – now used for youth activities. Follow the road back to the Square – or descend Houlgate Way which will also lead you to the centre of the town again. Now we head out for the main part of the walk. Head up St Mary’s Street past the The Crown Inn and the Old Court House with its high stone wall and into Jubilee Street and into Cheddar Road. Note The Pennings on your right. It’s the high Georgian building in style – but it’s a modern reproduction – in fact there was a petrol station there until recently. Opposite is Chestnut Hill Farm – formerly Station Road Farm. It’s a bright pale pink colour and was featured on one of those TV property programmes due to its beautiful restoration. Keep going up the road until the sign for the Reservoir on the right and follow the lane down an avenue of silver birth trees. At the bottom is the circular reservoir – some two and a half miles round. You could cheat and just walk as far as the Bristol Corinthians Sailing Club or keep going all the way before arriving back where you started. The walk gives breathtaking views of the Mendips, the Levels and Brent Knoll in the distance. Looking south from the far side are endless fields with oak hedges stretching away towards the Isle of Wedmore. In two or three or so years that will become a vast building site as Bristol Water construct a second reservoir – the same size as the one you are walking around. It can be very blustery around the Res – but there’s always so much to see. The sailors and the sailboarders, the fishermen after pike and the skateboarders in the park on the Cheddar side – and of course the people – chatting, walking, dog walking and picnicing. And so it’s back towards Axbridge for that cup of tea at the Alms House or a pint of beer sitting in the sun in the Square. You’ve earned it. Before doing anything strenuous you need to have a hearty breakfast. Indeed in my book before doing anything at all you need a hearty breakfast. And so before setting off from Yatton Railway station with my friend Tubs, we entered the stone portals of the Strawberry Line Cafe and watched a few trains whoosh by whilst we munched our way through bacon sandwich after bacon sandwich. What a pity I said that we couldn’t catch a train to Cheddar – and not have to cycle all that way. Tubs pointed out it’s only 20 miles to Cheddar and back along the path – a distance we should easily complete in half a day – even with a brief stop for a thirst quenching pint. “She who is in charge” said to call her when we got back to Yatton so she could collect us in the car – or if we wimped out – from where ever we had got to when it got dark – it was mid February. I assured her we wouldn’t wimp out. Yatton’s railway station is the only one on the Strawberry Line that is still a railway station and houses the cafe that has become something of a departure point for those heading off down the cycle path. The lines that once ran north west to Clevedon and south east to Wells have long since vanished. Instead at the end of the car park the Cheddar Valley cycle and walk way begins – marked by a metal sculptured arch. So after our hearty breakfast we peddled along the path into the countryside. The path sweeps south of Yatton with open farmland stretching away on either side leaving us to the sounds of birdsong and the occasional moo from a grazing cow. Only a couple of miles went by and we approached the A371. The path is diverted briefly along a new section of path that follows the banks of a river before crossing the road with a pelican crossing and rejoining the old rail track at the sad remains of Congresbury Station. Tubs scratched away at the ivy and brambles along the platforms and we both agreed it was a tragedy the once busy junction on the Strawberry Line and the Wrington Vale Light Railway was now like a lost Inca temple given up to the jungle. We cycled into Congresbury but found the pubs not yet open and feeling we’d only just set out returned to the remains of the station and headed for Sandford noting a fishing lake that advertised tea and snacks for sale. Again we pressed on and after a diversion through the orchards of Thatchers Cider found ourselves on a stretch of main road between Banwell and Sandford. 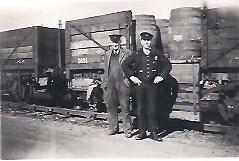 The Railway Inn was not open yet but the cider shop at Thatchers Cider was and Tubs insisted on stopping to buy a few bottles which he loaded into his back pack. He started chatting to a very pretty girl pumping up a tyre on her mountain bike outside. On her recommendation we peddled a bit further along the main road to Sandford Village Shop where a cafe served cakes and coffee – and we could read the morning papers and argue about who we’d date: Kate Moss or Susanna Reid. Refreshed we set off to find Sandford’s railway station – which we discovered in a complex of retirement homes. Who ever had restored the station has done a brilliant job. It’s as though the station never closed – there’s even a carriage and trucks alongside the platform on a stretch of track – the only sadness being the whole place is marooned in on a sort of heritage island – the tracks stopping suddenly at the end of the platform where the retirement homes are. On again and a rural ride on muddy paths, dank cuttings and scenic viaducts with views of back gardens and more interestingly windows where residents could be seen watching daytime TV. The views were soggy – across muddy February fields to Banwell and a misty Crook Peak. Soon we arrived at the Millennium Green in Winscombe. It was around this time that Tubs said he was feeling unwell and needed something else to eat. There is nothing quite like tucking into piping hot fish and chips and so we found ourselves at the Winscombe Fish Bar on Sandford Road. Despite my New Year’s Resolution to only eat salads for two months we had cod and chips – not just once – but twice. It necessitated a visit to the Woodborough for a couple of pints of cider to allow the batter, chips and copious amounts of tartar sauce to be digested. By now it was afternoon and in the watery sunshine of a February day we cycled up the Strawberry Line past the Rugby Ground and a dark corridor of trees to Shute Shelve tunnel and then out into the brightness of the Somerset countryside. Or so we thought. A sign declared the tunnel to be closed for repairs (it has since reopened) – meaning a lengthy diversion – not via roads as indicated by the signs but on Tubs’ insistence through woods, bramble-covered banks and along muddy tracks. It was thirsty work. So a pint or two at The Lamb Inn, Axbridge, was called for. It was getting late and we needed to sober up. We nipped over to Axbridge’s tea rooms in Moorland Street where we reflected on the fact we had only cycled about seven miles – with over 13 still to do. It was this realisation that spurred us on, pedalling like men possessed up Cheddar Road and out of the village – and missing the cycle path completely. How we ended up in a housing estate off Round Oak Road I’m not sure – but we were very relieved when we stopped to ask directions from a chap who was trimming his hedge – and he graciously offered us the use of his lavatory. Well, by then we were bursting. Back in the saddle and we discovered the cycle path by an industrial estate – where a cycle shop marks the end of that section of the Strawberry Line in Cheddar. Tubs had an accident with his “outfit” and chose to nip in and buy a new pair of cycle shorts – a vast improvement on his British 8th Army style kaki long shorts. And so it was back up the path to Axbridge after only a brief cycle around the village where Tubs bought something I strongly disapprove of – a packet of cigarettes. By now the sun was rapidly sinking below the distant bump of Brent Knoll in a blaze of glorious orange – blinding me for a moment. I wobbled, causing a coming together with Tubs and a barbed wire fence. Now Tubs idea of first aid is to dab a tissue over any wound and open a bottle of cider. Which is what he did. We were still miles from home – it was getting dark and cold and it began to rain. It was February. I dialled “She who is charge” and before I could speak she said: “You’ve wimped out – haven’t you?” I meekly agreed – and gave her our very approximate position: a hedge between Axbridge and Cheddar. It’s more than 50 years ago since the Strawberry Line was closed by the infamous Beeching axe writes Harry Mottram. A regrettable and wholly unnecessary act of industrial vandalism. Now the line is partly a forgotten and overgrown track and partly a walkway and cycle path. It’s slowly being rediscovered by a new generation who never knew the rail service that connected Draycott to Didcot and Winscombe to Westminster. Those of a certain age can still recall those long lost days when steam trains puffed their way through Shute Shelve tunnel or up the branch line to Clevedon with a carriage full of revellers from a night out in Yatton. Reading back through the archives of the summer of 1963 Britain seemed like a different country. The media was gripped by the Profumo affair, the Great Train Robbery and the naming of the ‘third man’ in the Russian spy case as being Kim Philby. Closer to home a trial was about to get under way with a hearing in Axbridge following the murder of a girl in Banwell, the Hillman Imp went on sale in garages in Weston-super-Mare and Bristol Lulsgate Airport’s runway was extended to cater for the passenger jets connecting Somerset to Spain. The previous winter had dominated life in the first months of the year with the Big Freeze. It left the county looking like Siberia as trains were snowed in at Draycott, the A38 was blocked for days at Redhill and the sea froze at Clevedon. By March there were still mountains of slushy ice piled up in the streets as the thaw finally set in. On 27 March the Western Daily Press reported an announcement by Dr Richard Beeching on behalf of the Government. It called for massive cuts to the nation’s rail network with the closure of more than 2,000 railway stations, the scrapping of some 8,000 coaches and the loss of 68,000 jobs. As the year progressed more details were released and a feeling of gloom descended on those employed by the railways, the passengers who depended on the service and the scores of strawberry growers who used the line to move their produce to market. The reason according to Beeching was simple: the railways were losing money – and being in Government ownership it meant the tax payer was picking up the bill. However, many at the time disputed the way the railways were run. The Government didn’t look to privatise parts of the network or even to turn some over to heritage lines – or simply to mothball some of the track with an eye to reopen them in the future. With railways being upgraded, high speed trains being planned and passenger numbers at an all-time high it seems from today’s perspective the Beeching axe was a big mistake. But that was then and the Government of the day didn’t have today’s hindsight. Jim Lukins of Axbridge who used the line for transporting farm produce said the railways were slow to modernise – with no facilities to forklift goods on and off the train. Everything took ages to load compared to the convenience of lorry transport – with the eternal problem of shunting goods wagons into place – something that was very time consuming. Many farmers and small holders had at one time owned their own rail wagons – but it was a practice that was dying out in the 1950s. By 1963 much of the freight that had been carried by train had transferred to road including milk. Under the Milk Marketing Board most milk in the district was collected by lorry and taken to either Cheddar Valley Dairies at Rooksbridge or to the London Co-operative Group Dairy at Puxton. There is was purified and pumped into milk tankers and driven to London. Before the war there had been eight daily milk vans from Wells alone heading for the capital – so it was a big loss to the railways. 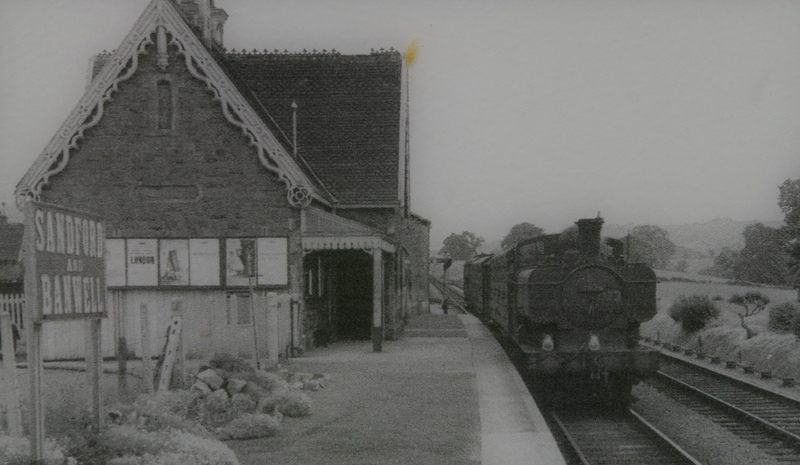 Other contracts ended – even the one taking barrels of blackberries from Axbridge – but including in the 1950s some 200 growers of strawberries sent their produce by rail in the Cheddar valley. Now there are just a handful of strawberry growers left. Somerset’s loss has been Spain’s gain. From the 1920s the rise of the car and the lorry as forms of reliable transport foretold the end of the golden age of steam. 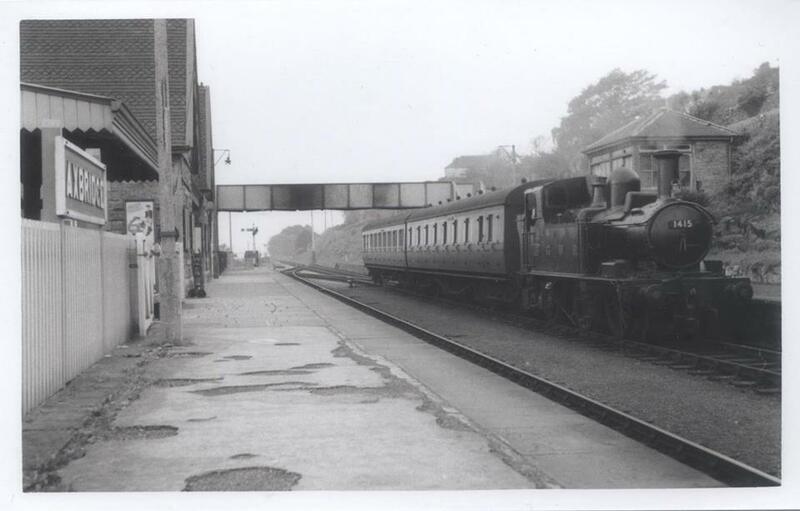 By 1931 passenger transport was discontinued on the branch line to Wrington and Blagdon. In Wells Priory Road Station closed in 1951 when the Somerset and Dorset branch line from Glastonbury and Street was shut down while over in Clevedon the Clevedon and Portishead Light Railway closed in 1940. Reading the national press of the time it is clear the fate of the railway branchlines was under threat. There was talk of future uses such as relief roads and bypasses – which eventually happened in Yeovil and Axbridge. During the spring and summer of 1963 the transport ministry was busy releasing news of the impending closures to the railways. Promises were made about providing a national lorry freight network, more buses would be put on to cover rural areas hit by the cuts and as many workers as possible would be found new work in other industries. Such is the stuff of Government spin – no different then to what it is now. The brutal reality was thousands of workers would be out of work and many in isolated communities would be left to stranded. The newspapers and trade journals of the time were filled with adverts for cheap cars and bikes – no coincidence that thousands of rail commuters would have to find new ways to get to work. A new NSU Prinz 4 car that featured a heater, a clock and four gears could be bought for £526, while a 175cc Lambretta scooter would put you back £109 and ten shillings. And so it came to the last few day of the line. In recognition the train used for the last run on Saturday 7th September was a cleaned up 0-6-0 Collett GWR locomotive. Some 93 passengers crammed onto the train at Yatton including the parish chairman Maurice Crossman who cheerfully admitted he’d never caught the train. Wilf Hodges of Eastvillage was the driver and Tony Harris was the fireman. Colin Forse of Yatton was also onboard. The late Mr Forse was the driver stranded in a snow drift earlier that year when his locomotive was buried under 12 ft of snow at Draycott. From Wells the last train was driven by Harry Vile while David Shepherd was on duty as fireman. Some 250 passengers were on board by the time it left Axbridge, and some high spirited youths placed a coffin marked The Strawberry Line RIP in white letters on the tender as the train huffed and puffed its way back along the cutting and over the bridge towards Shute Shelve tunnel and history. Before doing anything strenuous you need to have a hearty breakfast. Indeed in my book before doing anything at all you need a hearty breakfast. And so before setting off from Yatton Railway station with my friend Tubs, we entered the stone portals of the Strawberry Line Cafe and watched a few trains whoosh by whilst we munched our way through bacon sandwich after bacon sandwich. What a pity I said that we couldn’t catch a train to Cheddar – and not have to cycle all that way. Tubs pointed out it’s only 20 miles to Cheddar and back along the path – a distance we should easily complete in half a day – even with a brief stop for a thirst quenching pint. “She who is in charge” said to call her when we got back to Yatton so she could collect us in the car – or if we wimped out – from where ever we had got to when it got dark – it was mid February. I assured her we wouldn’t wimp out. Yatton’s railway station is the only one on the Strawberry Line that is still a railway station and houses the cafe that has become something of a departure point for those heading off down the cycle path. The lines that once ran north west to Clevedon and south east to Wells have long since vanished. Instead at the end of the car park the Cheddar Valley cycle and walk way begins – marked by a metal sculptured arch. So after our hearty breakfast we peddled along the path into the countryside. The path sweeps south of Yatton with open farmland stretching away on either side leaving us to the sounds of birdsong and the occasional moo from a grazing cow. Only a couple of miles went by and we approached the A371. The path is diverted briefly along a new section of path that follows the banks of a river before crossing the road with a pelican crossing and rejoining the old rail track at the sad remains of Congresbury Station. Tubs scratched away at the ivy and brambles along the platforms and we both agreed it was a tragedy the once busy junction on the Strawberry Line and the Wrington Vale Light Railway was now like a lost Inca temple given up to the jungle. We cycled into Congresbury but found the pubs not yet open and feeling we’d only just set out returned to the remains of the station and headed for Sandford noting a fishing lake that advertised tea and snacks for sale. Again we pressed on and after a diversion through the orchards of Thatchers Cider found ourselves on a stretch of main road between Banwell and Sandford. The Railway Inn was not open yet but the cider shop at Thatchers Cider was and Tubs insisted on stopping to buy a few bottles which he loaded into his back pack. He started chatting to a very pretty girl pumping up a tyre on her mountain bike outside. On her recommendation we peddled a bit further along the main road to Sandford Village Shop where a cafe served cakes and coffee – and we could read the morning papers and argue about who we’d date: Kate Moss or Susanna Reid. Refreshed we set off to find Sandford’s railway station – which we discovered in a complex of retirement homes. Who ever had restored the station has done a brilliant job. It’s as though the station never closed – there’s even a carriage and trucks alongside the platform on a stretch of track – the only sadness being the whole place is marooned in on a sort of heritage island – the tracks stopping suddenly at the end of the platform where the retirement homes are. On again and a rural ride on muddy paths, dank cuttings and scenic viaducts with views of back gardens and more interestingly windows where residents could be seen watching daytime TV. The views were soggy – across muddy February fields to Banwell and a misty Crook Peak. Soon we arrived at the Millennium Green in Winscombe. It was around this time that Tubs said he was feeling unwell and needed something else to eat. There is nothing quite like tucking into piping hot fish and chips and so we found ourselves at the Winscombe Fish Bar on Sandford Road. Despite my New Year’s Resolution to only eat salads for two months we had cod and chips – not just once – but twice. It necessitated a visit to the Woodborough for a couple of pints of cider to allow the batter, chips and copious amounts of tartar sauce to be digested. By now it was afternoon and in the watery sunshine of a February day we cycled up the Strawberry Line past the Rugby Ground and a dark corridor of trees to Shute Shelve tunnel and then out into the brightness of the Somerset countryside. Or so we thought. A sign declared the tunnel to be closed for repairs (it has since reopened) – meaning a lengthy diversion – not via roads as indicated by the signs but on Tubs’ insistence through woods, bramble-covered banks and along muddy tracks. It was thirsty work. So a pint or two at The Lamb Inn, Axbridge, was called for. It was getting late and we needed to sober up. We nipped over to Axbridge’s tea rooms in Moorland Street where we reflected on the fact we had only cycled about seven miles – with over 13 still to do. It was this realisation that spurred us on, pedalling like men possessed up Cheddar Road and out of the village – and missing the cycle path completely. How we ended up in a housing estate off Round Oak Road I’m not sure – but we were very relieved when we stopped to ask directions from a chap who was trimming his hedge – and he graciously offered us the use of his lavatory. Well, by then we were bursting. Back in the saddle and we discovered the cycle path by an industrial estate – where a cycle shop marks the end of that section of the Strawberry Line in Cheddar. Tubs had an accident with his “outfit” and chose to nip in and buy a new pair of cycle shorts – a vast improvement on his British 8th Army style kaki long shorts. And so it was back up the path to Axbridge after only a brief cycle around the village where Tubs bought something I strongly disapprove of – a packet of cigarettes. By now the sun was rapidly sinking below the distant bump of Brent Knoll in a blaze of glorious orange – blinding me for a moment. I wobbled, causing a coming together with Tubs and a barbed wire fence. Now Tubs idea of first aid is to dab a tissue over any wound and open a bottle of cider. Which is what he did. We were still miles from home – it was getting dark and cold and it began to rain. It was February. I dialled “She who is charge” and before I could speak she said: “You’ve wimped out – haven’t you?” I meekly agreed – and gave her our very approximate position: a hedge between Axbridge and Cheddar. Editor’s note: Strawberry Line Times does not endorse drinking and cycling. Both Rupert and Tubs have been severely ticked off. The age of the train is returning – but as branch lines reopen will men start wearing triby hats again? Lost infrastructure: Congresbury Station in 1930 Michael Portillo said one thing of interest in his BBC TV programme on the Strawberry Line. Standing in Yatton and looking down the cycle path he remarked that is was sad so many branch lines were closed – but now they seemed to be reopening. Today he seemed to muse was the age of the train. Well he may be right. There’s no plans to reopen the strawberry Line – but other lines are under inspection in the region. A petition has been launched asking the Government to reopen the Somerset and Dorset Railway. Created by James Type, the petition asks “For the Government to consider reopening the Somerset and Dorset Railway, this is now a much needed transport link from north to south. “The railway went from Bournemouth to Burnham-on-Sea via Shepton Mallet, Glastonbury and Wells and closed to passengers in 1966. The petition closes 21 November. To sign go to epetitions.direct.gov.uk/petitions/41959. What an amazing thought – you could take a train from coast to coast – through part of the Strawberry Line. If you look on Google maps you can trace much of the former track – it makes you think what the possibilities would be. Although it will be interesting if the dress code changes back to the heyday of rail with men wearing trilby hats. Meanwhile in Bath councillors have openly discussed last month (and put on hold) a planned reopening of the Radstock to Frome railway. It’s been put back as it could cost around £40m to reopen – although it’s advocates say that would be recouped with new tourists, business and employment. Bath and North East Somerset Council’s cabinet discussed a report looking at the cost of reopening the line that shut in 1988. The document from engineering consultancy Halcrow said the £40 million project would not be cost-effective. However Councillor Eleanor Jackson (Lab, Radstock) encouraged the cabinet to look at the rise in the popularity of rail travel nationally. Dr Jackson said: “The estimated cost is £41.3 millionwhich makes it much cheaper than any comparable road option, while it would become easier to ship out goods from Westfield Industrial Estate and other manufacturing areas in the Somer Valley, reduce congestion in Bath, the carbon footprint and attract tourists.” If these two plans seem some way off then a third one may be a reality soon. The Bristol to Portishead railway is still intact – used regularly by freight – the line has stations, track and sleepers – it just needs passenger trains. With the vast increase in the population of Portishead and the overstretched road into Bristol it seems a likely possibility. The track runs along the Gorge on the Somerset side emerging in Bedminster. How far can the Strawberry Line go? Cycle paths across Britain are expanding as more people use their bikes to discover the countryside. Originally the Strawberry Line ran from coast to Cranmore. Only part of it is used a viable cycleway and path. Harry Mottram asks could it really run all the way from Wales to Wiltshire? Imagine being able to cycle from Winscombe to Wales and back in a day. It’s not an impossible dream. If the Severn Barrage gets the green light in the next few years then a road complete with cycle and walkway would cross the estuary from Lavernock near Penarth and to Brean Down linking up with the M5, A38 and of course the Strawberry Line at Shute Shelve. It’s one possiblity for the future development of the line following the decision by Welsh MP Peter Haine to back the Corlan Hafren consortium last year who plan to construct a barrage across the sea to harness energy from the tidal surges. They have suggested the scheme would include transport links allowing a new crossing across the Bristol Channel. That’s one possible direction. The other more likely expansion is the completion of the missing links to the original railway line. Namely the Yatton to Clevedon section which currently runs along lanes across Kenn Moor, and the sections from Cheddar to Wells and from Wells to Shepton Mallet and on to Cranmore where the East Somerset Railway occupies the remainder of the line. Another possible route for the future is the opening up of the old branch line to Wrington and Blagdon from near Congresbury. There are still sections of the embankment left which could be incorporated into a Mendip gateway cyclepath. Those sections are partly in place but are owned by a variety of individuals making access fraught with delicate negotiations. A small number of individuals and organisations from the Strawberry Line Association to North Somerset Council are involved in these talks. Apart from the technical issue of who owns which bit of land there’s also a shortage of public money to buy real estate. It’s a question of those involved exploring ways to gain consent and access without resorting to the more obvious but remote possibility of purchasing land. From my experience local politicians and representatives have little or no interest in the project as a whole. They will offer verbal support to activists, but district, county and national government has little cash earmarked for expanding cycle networks and the Strawberry Line in particular. It is a short sighted attitude as tourism along the line has increased in the few short years it has been established. If you cycle from Cheddar to Yatton of a summer’s Sunday afternoon you’ll realise just how popular the route has become. Literally hundreds of cyclists, families, dog walkers and groups of people jam some of the busiest sections with large numbers of cyclists sitting outside pubs such as the Lamb Inn in Axbridge and the Woodborough in Winscombe. And yet while billions of tax payers’ cash is spent on roads – very little goes on the National Cycle Network – of which the Strawberry Line is part. The Strawberry Line however is not just the one-time railway. In this magazine’s definition the line refers to a broad corridor of land including the Cheddar, Axe and Yeo Valleys, the Mendips and much of the levels and coastline. Those using the line can branch off in all directions at all points of the route – with the most attractive being the most level. In the Cheddar valley you can head off across the moors towards the Isle of Wedmore along lanes and droves. Beyond the isle the levels stretch away for miles to Glastonbury and Huntspill – hour after hour of hill free cycling. There’s the circular route around Cheddar Reservoir and from Axbridge you can cycle along the foot of the Mendips at Cross all the way to Bleadon and Uphill on the coast and in either direction along level lanes to Burnham-on-Sea and Weston-super-Mare. Northwards and there are more possible routes for cyclists and walkers. The Mendip Way for those on foot leads off at Shute Shelve in either direction for miles of hill walking while for those on bikes there’s more level cycling along the lanes at Kenn – or up the valleys to Wrington or to Blagdon. The National Cycle Network links the Strawberry Line to Bristol, Bath and beyond – but don’t be fooled. The routes may be well marked, but much of the routes are on roads, main roads at that with often no pavements or cycle path marked. Plus they follow routes that will take you up hills that will test the fittest riders. One day the National Cycle Network will feature only routes that have designated cycle lanes or paths so you can enjoy traffic free cycling as is mostly possible on the Strawberry Line. Until that happens then a good map is often a better option that slavishly following the network’s suggested routes. The other option for the the Strawberry Line is simply to upgrade the pathways. Much has already been done with signage and improved surfacing but with miles of hedges and copses to maintain there’s plenty of scope for more picnic spots, benches and even rain shelters for those sudden downpours. And when it rains those who use the paths on wet days know it can become very muddy in some sections with a tendency to flood in others. Clearly a lot of money could be spent on simply improving the current route to make it more attractive to the visitor and tourist. Information about the route has been added on neat boards but there is room for signs suggesting places that lie a mile or three off the path which would make for an easy excursion. Many cyclists miss the short path to the reservoir in Cheddar, others can pass through Winscombe and Yatton without realising the amount of shops, cafes and pubs just a few yards from the line – and Congresbury, Sandford and Banwell can be missed completely if you don’t have an ordnance survery map on you. It’s come a long way dince the 1980s when spirited individuals pioneered the route from Shute Shelve to Winscombe and on to Sandford. With your help, eventually the line could go all the way from coast to Cranmore and make the line one of the most popular tourist trails in Somerset.